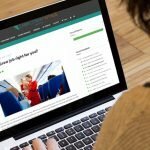 Is having a mum who is Cabin Crew too hard on young kids? Missing key milestones in your child’s life, e.g. first steps, school productions, birthdays etc. can be really hard for parents to deal with. But probably much less so for the child. Remember children are very resilient! Some very young children, can be a little distant towards a parent who has been away for a few days, but this can be true for any job that requires you to be away from your family. It’s harder for the parent because they may feel guilty for their absence from the child’s routine and daily life. It does not take long for a child to better understand the situation and then they are able to look forward to your return. Until your child is of the age where this is a case, you can be creative, e.g. pack them a suitcase full of novelty items, interesting photos from where you have been, stories about where you have been and chats about where your child would like to visit, you never know these chats may start a desire to be Cabin Crew when they are older! With technology; skype, facetime, messenger you can find lots of ways to stay connected with your child however great the distance between you. And of course gifts can work wonders! Are there regulations about wearing a headscarf? Yes is the short answer and the circumstances seems to vary. For some airlines e.g. Lion Air in Indonesia it is part of the uniform. Other airlines e.g. 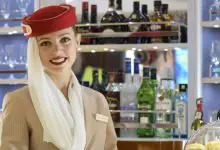 Emirates accommodate individuals, so if your headscarf is worn as part of your religion, they will give you an Emirates hijab, which is white with the Emirates logo on it. Some Airlines ask to sign an agreement form stating you would be willing to remove any religious headwear in the event of an emergency. 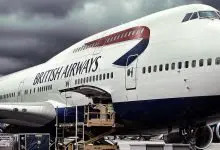 It’s really best to check beforehand with the airline you are planning to apply to, they may have details on their website or you can email them your query. 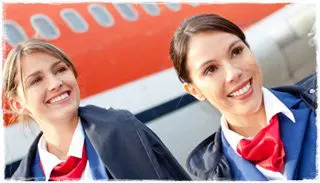 How can parents help their adult children achieve a Cabin Crew career? It is surprising you how frequently we get asked this. For many parents it is a top priority to help their child to be settled, happy and employed. Even when children are fully grown it doesn’t stop us wanting the very best for them. So, how can parents help? In addition to the essentials of encouragement and support, the main ways seems to be practical and financial. We get plenty of parents providing payment for their children to attend the 2 day training Course. And what additionally makes this support so wonderful, is the continued parental involvement, right through to the ‘thank you’ emails we love receiving from parents when they glow with pride as their son or daughter embark on an exciting new career. “I have just heard that after 4 weeks at Heathrow Jody has passed her SEP training with not a single penalty point. She gets her pass and roster tomorrow then its 2 weeks Customer service training at Gatwick till she gets her wings! We are very happy and proud parents indeed. Is it unusual to be placed in a talent pool? No its actually more usual than you would think! A talent pool represents those candidates who would have progressed on to training, if dates for training were available. When training dates have not been set, for example smaller airlines may wait until a busier period i.e. summer before scheduling training dates, then candidates wait in the pool until a date becomes available. The training days may not have been secured or training may be suspended for many reasons; availability of Trainers, late delivery of planes, booking simulation facilities so don’t worry, you will just need to wait until a training course becomes available. But remember you can of course apply to other airlines in the meantime or choose to for your training date call. What can I do if I’m told I’m over-qualified for the role? We were asked this by an applicant with a law degree, who was turned down by Emirates due to her being ‘over- qualified’. She was undeterred and applied to other airline and has been invited to an assessment day, which is great. Understandably however, she was slightly anxious in case she was told again that she was over-qualified. We encouraged her to use her existing qualifications and skills to her best advantage. BY explaining her longer- term aspirations of climbing the career ladder and by being honest about why she was choosing not to use her law degree directly, she would demonstrate that she has integrity and flexibility. We suggested that as this question could be asked she was best to prepare her answers carefully so that she could address questions interviewers may have in their minds already about why she had made the choices she had and how that has brought you to where she was then. 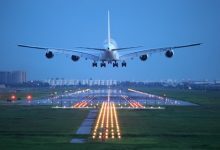 If you’re open and prepared, it helps prevent assessors forming their own conclusions and it also gives you a chance to frame your experience positively, highlighting how your qualifications would be of benefit to an airline. How long from after I have made my booking will it take to receive my confirmation email? It may take up to 48 hours so don’t worry if there seems a delay. You can contact us to confirm that the booking is going through, if you are concerned you may miss out on the limited places available. We endeavour to get the confirmation email out to you promptly. Is accommodation included in the 2 day Cabin Crew Course? Accommodation isn’t included in the price presently, however when you book the course you will receive a confirmation email which includes the nearest hotels and B&B which can be recommend. For some hotels we have negotiated a generous discount and we can provide more information about this once your booking has been confirmed. How does attending the 2 day course get me ahead of the other candidates? 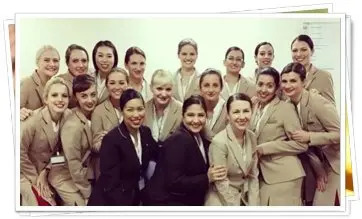 Our training provides examples, demonstrations and active participation in all the aspects of Cabin Crew recruitment. Undergoing those tests in a controlled learning environment will fully prepare you for your assessment days when you are invited. Importantly, you have a higher likelihood of being invited to the assessment days if you complete our training. Why don’t we re-write CVs in the CV review service? This is always a surprising one but it is asked quite regularly! We find that asking us to re-write ’your’ C.V. for you, is like asking an academic tutors to take exams for their students! 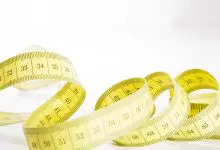 Offering useful, appropriate and required support and guidance to improve performance is a very helpful service which many people really appreciate. However, writing someone’s CV for them is cheating. We can help you to show yourself as the best you can be with your C.V. but you need to put in the work too. Then you will know that your C.V. will be a good representation of your skills and abilities and you will be comfortable and familiar with what you have written. 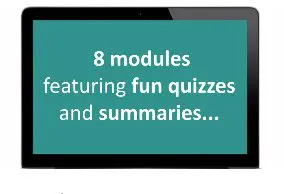 Think of about, how would you feel explaining items in your C.V. that you were unfamiliar with because you hadn’t created it yourself? What do you imagine could happen on your very important assessment day?! We are here to support you to success!